We have over 3,000 entries in our Genealogy set; and looking for more. If you have gathered updated information of your branch of the Jillson family after the publication of David Jillson's 1870 Jillson/Gillson Genealogy book, we would loke to enter it also. Please contact me directly - tjillson@jillson.com. 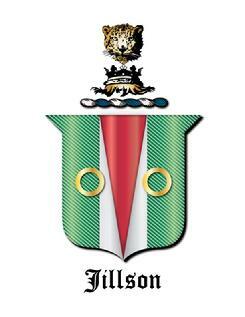 Special note: Please submit any and all 'fun' and informative information regarding your branch of the Jillson Clan. Look for several changes to this site coming in the next several months. Vacations are scheduled, and the plan is to use most of the time off for updating and enhancing this site. Looking for suggestions for content and services. Would you like to see recommendations for movies, books? Ratings and suggestions regarding products? Contact information including social networking links? or - (fill in the blank) with your suggestions.